Two weeks ago we discussed the importance of-and methods for- saving flower seeds in order to promote plant diversity and protect the continuation of heirloom species. This week we’ll discuss ways to successfully save heirloom vegetable seeds. From beans to tomatoes and kale, learning how to save seeds from your heirloom veggie plants will allow you to keep on growing specific varieties that thrive in your garden. You’ll also be able to share the joy and delicious flavors of these vegetables by sharing seeds with friends, family and neighbors, as well as protect the important diversity of plant types. Learning how to save heirloom vegetable seeds is not difficult, but our tips will help you get started. 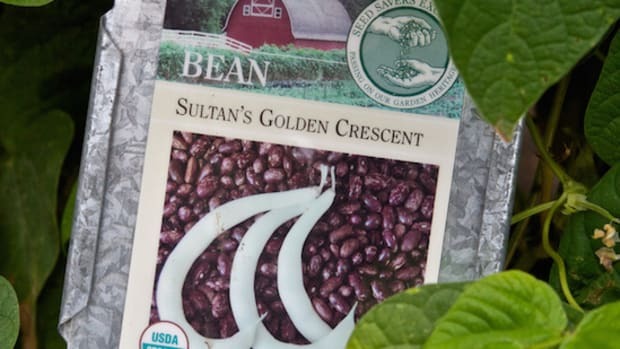 Seeds from heirloom varieties of vegetable plants are always the best choice, as they will set seed that is the same or similar to the parent plant it was collected from. It is also important to understand what vegetables have seeds that are worth saving, and which ones may be better to buy from and organic, heirloom seed provider. 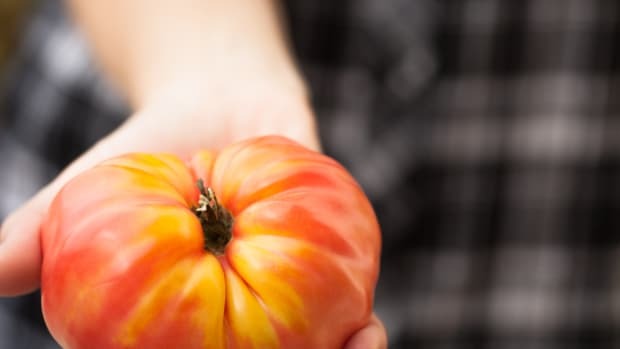 Good choices: Heirloom tomatoes, peppers, beans, peas, lettuces are self-pollinating, and some heirloom varieties can easily be saved for the following year. 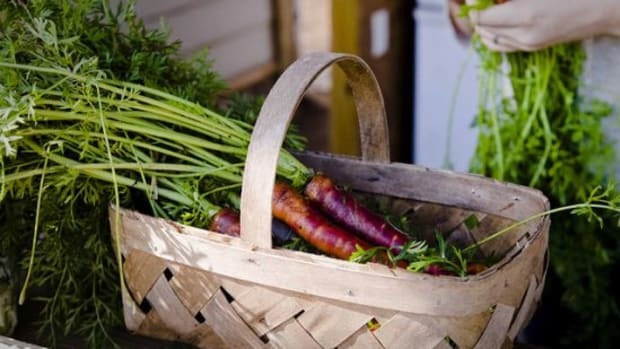 Less recommended choices: It is more difficult to grow biennial crops like carrots and beets from self-collected seed, as they need two growing seasons to set seed. This is exceptionally difficult in colder climates where the plant has to survive the winter to set seed the next year. 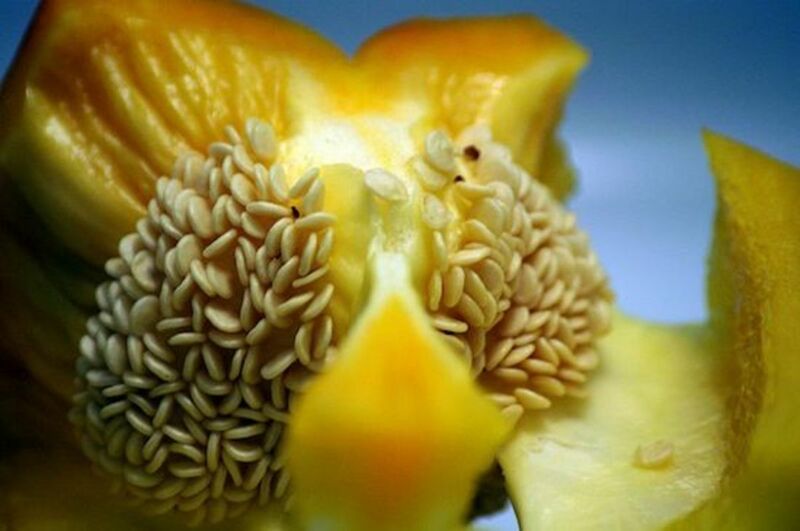 Not recommended: Corn, cucumbers, melons and squash have separate male and female flowers, causing different crops to cross-pollinate and create an unwanted strain of vegetable with inferior flavor, often making seed saving efforts futile. Choose the healthiest plants in your garden that have set the prettiest fruit to save seed from. Allow the fruit you are saving seed from to reach full maturity, and pick when fully ripe or dried (in the case of peas and beans). Tomatoes: Slice open the tomato and scoop out the seeds, placing them in a jar of water. In a few days time the seeds should have fallen to the bottom of the jar, releasing any flesh into the water. Pour off the liquid and let the seeds dry on a paper towel or newspaper. Peppers: Cut the top of the pepper open and scoop the seeds out. 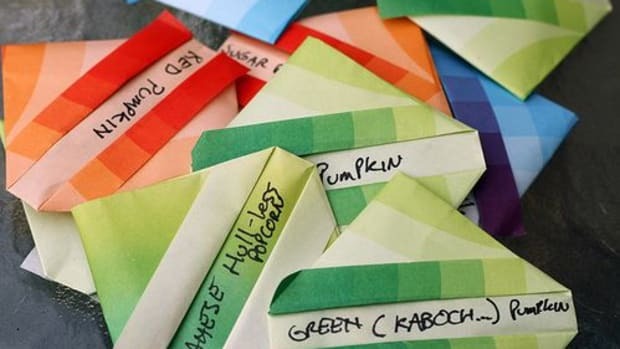 Lay them on a paper towel or newspaper to dry. 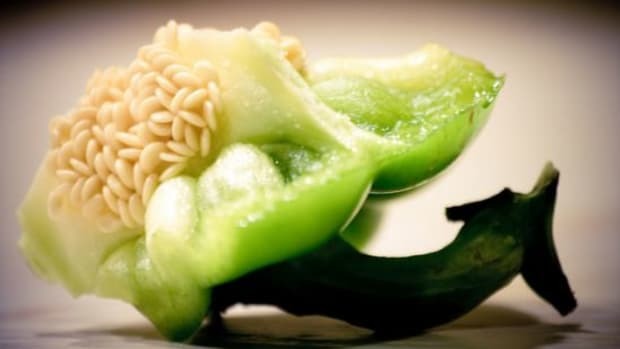 Be careful if you are saving seeds from hot peppers, making sure not to touch your eyes or any sensitive areas for several hours after touching the seeds. Beans and Peas: Let the fruit reach full maturity inside its pod and then pick it to let it dry on a rack, or leave the fruit on the vine and let the entire plant dry. 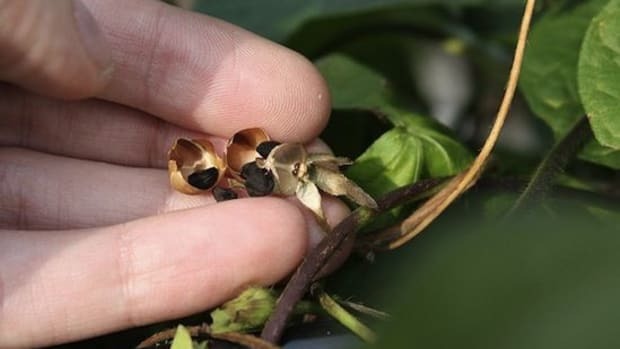 Once the pod is dry and brittle, break it open and place the beans or peas on a woven drying rack, discarding any moldy or significantly small specimens. Lettuces and Kale: Although slightly finnicky, lettuces and kale seeds can be gathered once the seed pod has formed and dried completely.This will require planting early enough in the season that the seed head forms in the heat of the summer, as cutting the water off the plant can occue once the seed pod forms. Make sure to plant a variety you want to save seed from far from other varieties of the same vegetable. 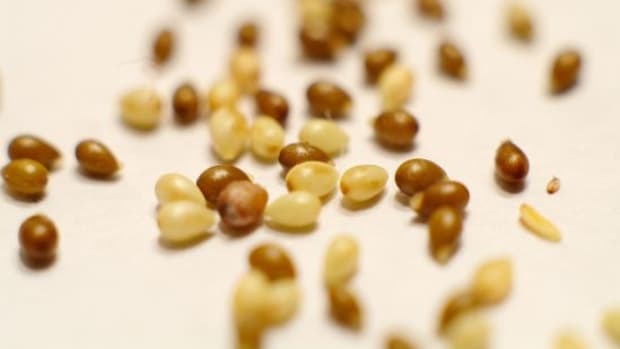 It is best to store most seeds in envelopes or aerated storage containers after they have dried for at least a week (drying time depends on the size of the seed) in a dark place. If seeds get too moist, they will begin to germinate. If your seeds are completely dry, you can place the in a tightly sealed glass jar and store them in the refrigerator, as temperatures between 32° F. and 41° F are considered ideal for storing most seeds. It’s a good idea to test the percent germination of your saved seed a month or so before preparing for spring planting. This will give you the approximate percentage of the total amount of saved seeds that will most likely germinate and grow into plants. 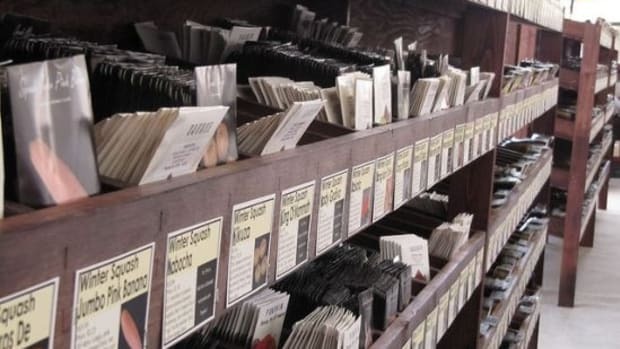 This will help you to decide how many seeds you want to plant, as a lower percent of germination will require more seed to be planted and allow you to consider what to change in your seed collecting methods to ensure better germination next year. It is not recommended to use seeds that are older than 2 or 3 years, and ideal to always use seed collected at the end of the previous season.